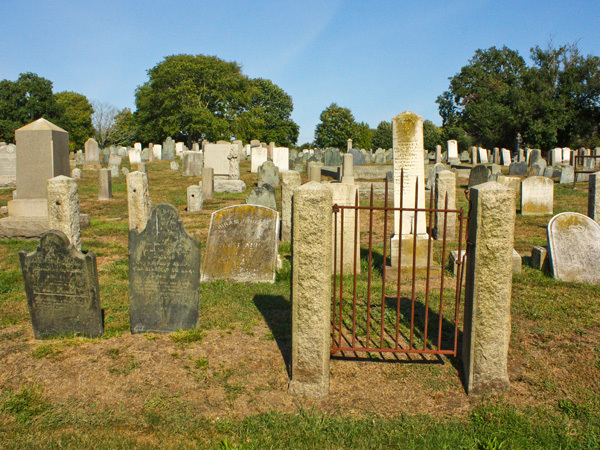 Occupying 31 acres at the northern edge of Newport’s original settlement, these two contiguous cemeteries contain the graves of significant political, religious, and commercial leaders, as well as Colonial-era slave burials of unique historical significance. 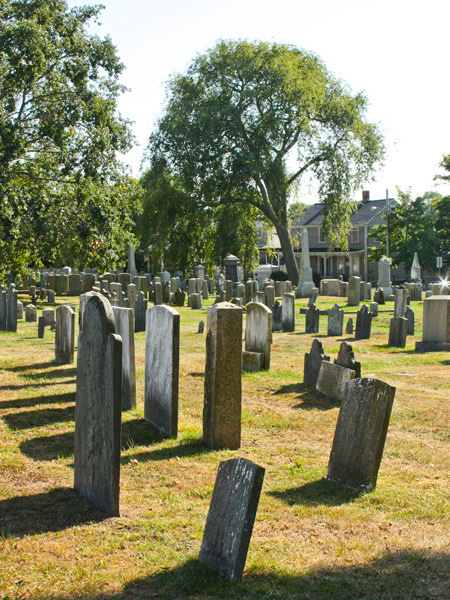 Land for the Common Burying Ground, the oldest public cemetery in Newport, was given to the town in 1640 by one of its founders, the Reverend John Clarke. 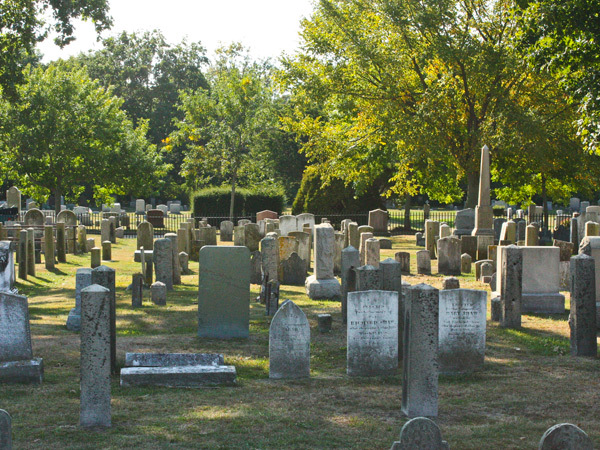 Containing modest headstones, many of which date to the seventeenth century, the cemetery was divided by a road into two sections, one (to the south) for the burial of freemen, the other, for the enslaved, is called God’s Little Acre. 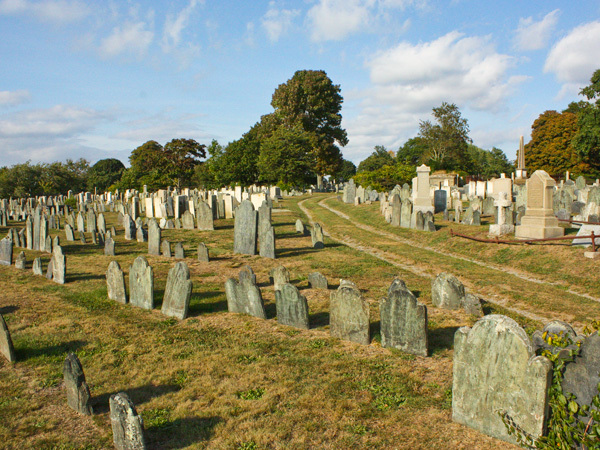 As need grew for increased burial space, in 1836 the town purchased the higher land surrounding the Common Burying Ground on the north and east that would become known as the Island Cemetery. 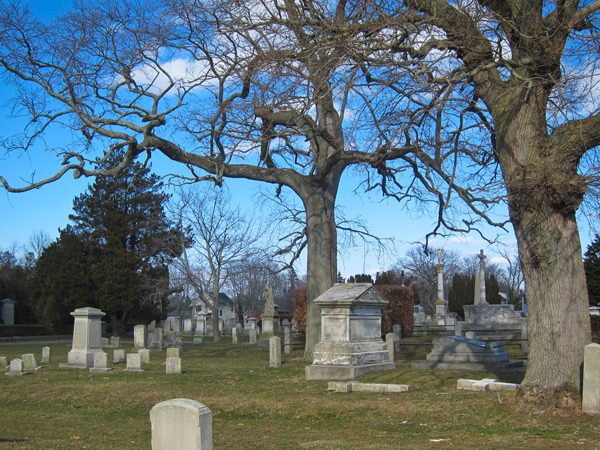 Plots in this new cemetery were laid out by Henry Bull and William Freeborn using a grid system, and by 1844 avenues, trees, and plantings were added, creating a park-like setting for its much grander monuments. 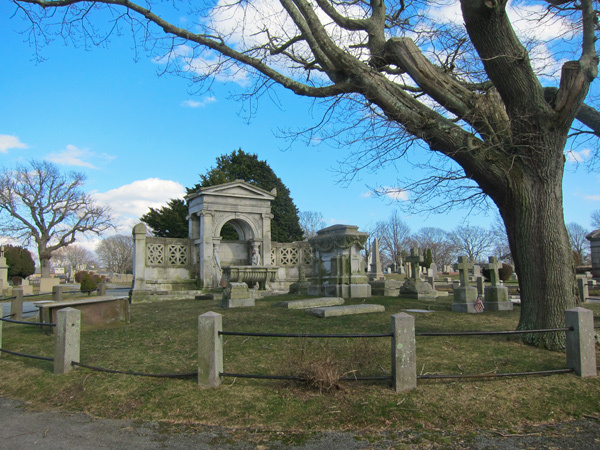 The circular Belmont plot, for example, includes the marble sarcophagus of Commodore Matthew Perry and a Beaux-Arts exedra designed by Richard Morris Hunt (who is buried nearby). 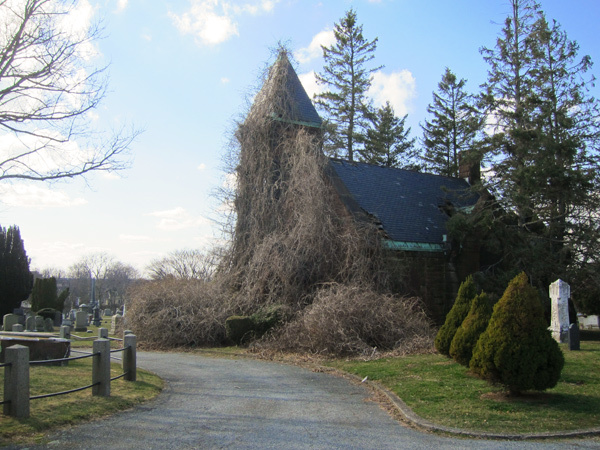 It is abutted by the Belmont Chapel, one of three late Victorian buildings in the cemetery. 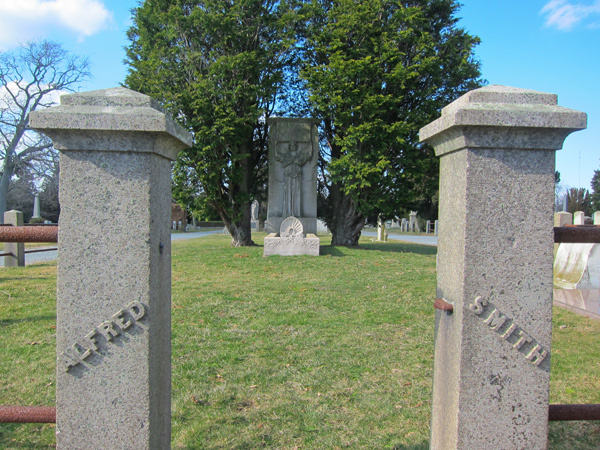 Some family plots feature carefully designed landscapes. One, the Wetmore plot, is divided and bordered by a privet hedge, while cypress trees mark its entrance and evergreens line the rear of its eastern section. 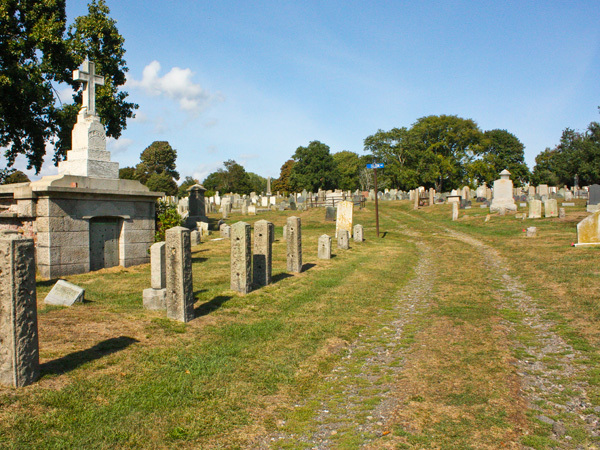 A rich repository of sculpture, Colonial stonework, and history, the two cemeteries were listed as a single entry in the National Register of Historic Places in 1974.